In 2015, Jordan Spieth captured two majors and nearly won the other two. In the same year, Jason Day won the PGA Championship while contending at both the U.S. Open and the Open Championship. Northern Ireland’s Rory McIlroy already had four majors to his credit and all three players were racking up PGA Tour victories with regularity. Suddenly word started to spread that golf had a new “Big 3”. As we now know, it’s not that easy. In the past two years, Hideki Matsuyama, Dustin Johnson, Rickie Fowler and others have all made credible cases to be included in the Big 3 or 4 or 5. Only time will tell if we have another Big 3 that future golf historians will look back on and discuss in the same way they talk about Arnold Palmer, Gary Player and Jack Nicklaus – the original Big 3. That, of course, was a marketing term, coined by agent Mark McCormack in the early sixties to help draw attention to his stable of clients. It’s become quite common now to mention the three Hall of Fame golfers together – Palmer, Player & Nicklaus – as though they were all partners in a law firm. Farther back we had Hogan, Snead & Nelson and before them Sarazen, Jones & Hagen. 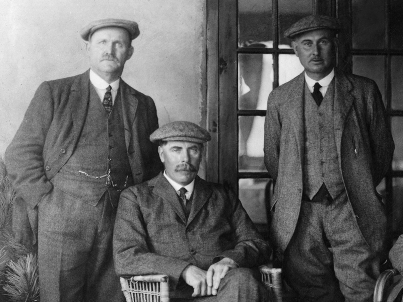 The original Big 3, if you will, all played most of their golf on the other side of the Atlantic around the turn of the 20th century and they too had a nickname. 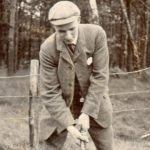 Harry Vardon, John H. Taylor and James Braid were three hard working professionals from Britain that between them won 15 of 21 Open Championships between 1894 and 1914, and Vardon added a U.S. Open victory in 1900. The press of the time dubbed the trio the Great Triumvirate. Our obsession with the three best players of any given period is rooted in the Great Triumvirate and records show that at various times over the past 120 years, there actually were sustained periods where three dominant players fit neatly into a pattern. However, even when three players won a significant number of titles or nabbed most of the majors, there were other players winning at nearly as strong a clip, usually by competing against and beating the so-called Big 3 of their time. In some cases, the fourth most dominant player of his era was almost as good as the three ahead of him. So who were these guys – the forgotten fourth men – that history has relegated to footnotes? How about Leo Diegel? 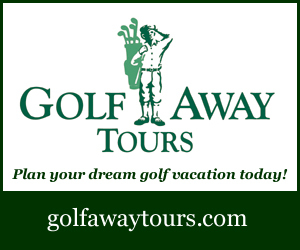 He was a pro from Michigan that had the misfortune to be playing alongside Walter Hagen, Gene Sarazen and Bobby Jones in the 1920’s. 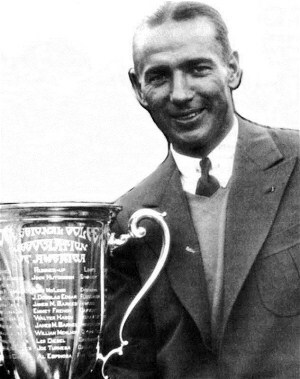 Given that Jones was an amateur and rarely competed on the PGA Tour except for majors, Diegel’s record of 30 wins including two majors should have put him in good standing against his professional colleagues, but Jones was the best of his era and maybe the best of all time, racking up seven majors from 1923-30 and grabbing most of the headlines. 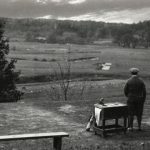 Hagen’s record of 45 wins and 11 majors and Sarazen’s 39 and 7 put them at the top of the professional heap but golf was still very much an amateur game at the time and Jones was the golden boy. In addition to his professional majors, Jones also won the U.S. Amateur five times and the British Amateur once, during a period when those amateur titles were also considered majors. Pretty tough for Leo Diegel to compete against that. By the time that Jones had retired and Hagen’s career was winding down, several other players started to tally wins that rivalled Diegel’s record: Horton Smith (32 wins, 2 majors), Harry Cooper (31, 0) and Paul Runyan (29, 2). Any of them could be accorded the Fourth Man title except, unlike Diegel, their victories came after the top three were winding down. Besides Leo Diegel won four Canadian Opens, so I think he gets the nod as the Fourth Man of his era. Ben Hogan, Sam Snead and Byron Nelson combined for 198 wins on the PGA Tour plus 21 majors between 1935 and 1965. The trio had some truly remarkable seasons such as 1945 when Nelson won 18 events including 13 in a row; 1946 when Hogan won 13 titles; and 1950 when Snead won 11. All three players were born in 1912 and each began to win PGA Tour events by the late 30’s. While Nelson essentially retired in 1946, Snead continued winning until 1965 when he was 53. In terms of career victories, they rank 1st (Snead), 4th (Hogan) and 6th (Nelson) on the all-time list. That translates into 82 wins for Snead plus 7 majors, 64 wins for Hogan plus 9 majors and 52 wins for Nelson and 5 majors. Fourth Man bragging rights for the period are up for grabs. Nobody even comes close in terms of either total wins or majors but three players can make a strong case for next in line. Dr. Cary Middlecoff lists 40 wins and 3 majors on his resume, while Lloyd Mangrum is 36 and 1 and Jimmy Demaret weighs in with 31 and 3. Based on numbers alone, Middlecoff would seem to be the logical choice but he was a bit younger than the other two and competed mostly after Byron Nelson had retired. Both Mangrum and Demaret played their entire careers against Hogan, Snead and Nelson. In terms of other achievements, all three played on at least three winning Ryder Cup teams for the U.S. Personally, I’d still give the edge to Middlecoff. 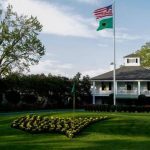 He has the most wins of any player during the 1950’s and that includes events where he was competing against young upstarts like Arnold Palmer, Gary Player and Ken Venturi. Plus he was an all-star golf analyst on television and basically defined the role for future commentators. When Mark McCormack coined the term “The Big 3” for Nicklaus, Palmer & Player, one golfer certainly felt left out. Billy Casper was every bit as good as the other three and has the records to prove it. During the 60’s, Casper won the Vardon Trophy (low scoring average) five times, was twice Player of the Year and twice won the PGA Tour money title. His 51 victories put him 7th all time and he recorded a victory in 16 straight seasons, trailing only Palmer and Nicklaus who both went one year longer. 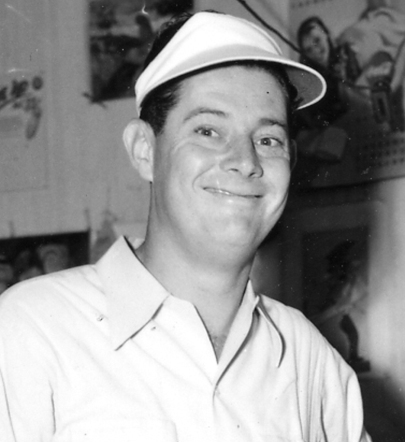 Casper played on eight winning Ryder Cup teams and still holds the record for most career points by any American player. He was also considered to be the best putter of his time and one of the greats of all-time. Perhaps Casper’s three majors hold back the recognition he otherwise deserves. With Nicklaus at 18, Player at 9 and Palmer at 7, some would argue that he didn’t fare so well in the most important events. But no other player of his era could even claim that many majors so he’s still clearly the 4th best of his time. If it weren’t for Mark McCormack and his marketing slogan, perhaps the four players might have become golf’s version of the Fearsome Foursome. (With all due respect to Merlin Olsen, Rosey Grier, Lamar Lundy and Deacon Jones of the 60’s era LA Rams, who popularized the Fearsome Foursome moniker in the NFL). By the late 60’s, Lee Trevino jumped into the mix, bursting onto the scene to steal the 1968 U.S. Open from perennial favourite Nicklaus. He did it again to Jack, twice in 1971 at both the U.S. Open and the Open Championship, then again at the Open Championship in 1972. It seems that Trevino could get especially fired up at majors when Nicklaus was in contention and Lee beat Jack one more time at the PGA Championship in 1975. That’s five wins for Trevino, 5 seconds for Nicklaus. Trevino added another major at the PGA Championship in 1984. In total, Trevino nabbed 29 victories in a 16 year span. Another young star, dubbed “The Next Nicklaus” because of his cocky manner, flowing blond hair and brilliant iron game, parlayed his Southern California roots into 25 PGA Tour wins during the 70’s and 80’s. Johnny Miller was supposed to replace Nicklaus as the face of the game. The only problem was Nicklaus wasn’t going anywhere. Miller added two majors including his record shattering win in the U.S. Open at Oakmont in 1973 but he was always a contender, never the main event during the reign of King Jack. Tom Watson was another who gave as good as he got when it came to battling Nicklaus, perhaps never better than their Duel in the Sun, the 1977 Open Championship at Turnberry. Watson got the better of Nicklaus that week and then repeated the feat five years later at the U.S. Open at Pebble Beach. In total, Watson has 8 majors (6th all time) and 39 PGA Tour wins (11th all-time) in his career. Those kinds of numbers will get you included in Top 3 lists almost anytime. So, if it weren’t for Nicklaus, then Trevino, Miller and Watson would make a pretty good Big 3 of their own during the 70’s and 80’s. 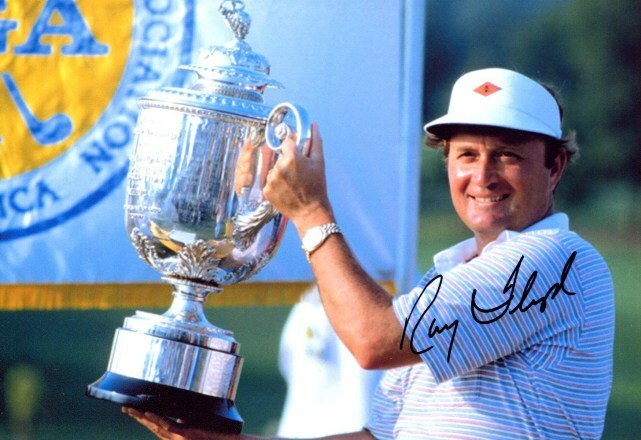 To extend the fantasy a bit farther, Raymond Floyd would be their perfect Fourth Man. He won 22 times on Tour, had four major titles and is one of only three players to win in four different decades, the others being Sam Snead and Davis Love III. Lanny Wadkins (21, 1), Hale Irwin (20, 3), Tom Kite (19, 1), Ben Crenshaw (19, 2) and Hubert Green (18, 2) could get some consideration as the Fourth Man of that era but Floyd just seems like the guy. A brilliant short game player, he looked like he could bore holes through his opponents with his icy stare. Besides, he first won in 1963 and last won in 1992, which transcends several eras and demonstrates he has staying power. You’ve got to love staying power! 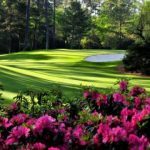 As the PGA Tour grew in popularity and purses expanded exponentially from the 70’s into the 90’s, more athletes were making golf their chosen profession and the number of quality players on Tour deepened. At any given event, there were dozens of players who could win and it became significantly more difficult for a small group of players to dominate. 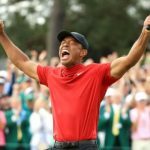 Until Tiger Woods came along and began setting new records, the new norm for a Hall of Fame career was defined by 20 wins and a couple of majors. A great season might get you a handful of titles but nothing close to the days of Hogan, Snead and Nelson when double digit win seasons were possible. The best of the late 80’s and early 90’s were players like Irwin, Kite and Crenshaw toward the end of their careers plus international stars such as Greg Norman (20 wins, 2 majors) and Nick Price (18, 3) who made North America their second home. 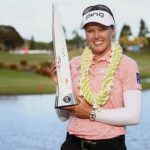 Both Norman and Price also had significant victories on the European Tour and their respective home circuits in Australia and South Africa too. 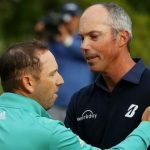 The emergence of international superstars Nick Faldo and Seve Ballesteros made it even more difficult than usual for North American players to win, especially majors – the one enduring measure of greatness over the decades. Faldo won six majors while Ballesteros captured five during the period. Add Sandy Lyle (2), Ian Woosnam (1), Jose Maria Olazabal (2) and Bernhard Langer (2) to the mix as well. Some of the European stars made North America their home but Faldo and Ballesteros only played limited schedules on the PGA Tour. Each won nine times here but Faldo won 30 times in Europe (5th all-time) while Ballesteros is still the victories leader on the European Tour with 50. That’s quite a stable of all-stars. But it’s not even a complete list of golfers that made it to the Hall of Fame based on their play during the period. Add Curtis Strange with 17 wins and 2 majors, Mark O’Meara (16, 2), Fred Couples (15, 1) and Corey Pavin (15, 1). In total, that’s 15 Hall of Famers with 194 wins and 36 majors. Hogan Snead and Nelson had more wins. 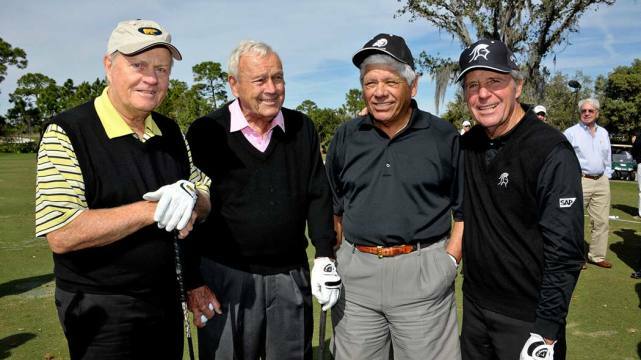 Nicklaus, Palmer, Player and Casper had more majors. How do you pick a Big 3 and a Fourth Man from that period? Most of us can recall Tiger’s opening remarks at the press conference when he announced he was turning professional. Following his remarkable three straight U.S. Amateur titles, the sky seemed to be the limit for the skinny Stanford kid. Twenty years later we know what that means: 79 PGA Tour wins, 40 European Tour wins and 14 majors, World #1 for a record 683 weeks, Player of the Year 11 times, Leading Money Winner 11 times, 9 Vardon trophies and more money than several small nations. Along the way, Tiger broke almost every scoring record and so thoroughly dominated men’s professional golf that it was hard to know who was in second place. 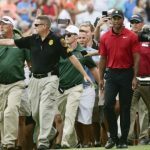 But unlike the time immediately before Woods, two other players also began to win in bunches and while Tiger was so dominant that nobody ever spoke about another Big 3, the stats show that there were three players that were regularly on top of leaderboards and taking home the most hardware. Phil Mickelson got started early in his career by winning the Northern Telecom Open in 1991 when he was 20 and still enrolled as an amateur at Arizona State University. Lefty went on to win a total of 42 PGA Tour titles including five majors and may not be done yet. His annual quest to complete his personal career Grand Slam by winning the U.S. Open makes him at least the sentimental favourite each year and at age 47, he shows no sign of slowing down. Vijay Singh is clearly Number 3 in this trio and while his PGA Tour career is largely over except for a few events here and there, he put together amazing Hall of Fame numbers during the Tiger era with 34 victories and 3 majors. Long regarded as the hardest working player on the PGA Tour, Singh won nine times in 2004 and lead all money earners three times. One might expect with Woods racking up all his wins and Mickelson and Singh grabbing more than their share, there wouldn’t be much left for the rest to fight over. But don’t tell that to Ernie Els. He’s our final Fourth Man. 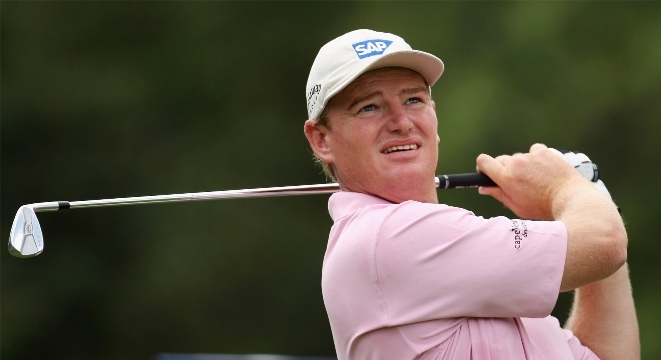 The big South African notched 19 PGA Tour wins from 1994 – 2012, won 28 times on the European Tour (7th all-time) and also captured four majors. It’s hard to say what Els could have done if he devoted himself solely to North America – he split his time between both tours for many years, which had to be a serious drain on his energy – but he was a dominant player wherever he went. Maybe the same question should be asked about each Fourth Man – could he have been one of the Top 3 under different circumstances? In twenty years, perhaps someone will look back and identify another Big 3 and maybe another Fourth Man. There are lots of candidates for each role now but it’s way too soon to guess. Players like Spieth, Justin Thomas and Jon Rahm are just starting their careers and as exciting as they are now, lots can change in a decade or two. 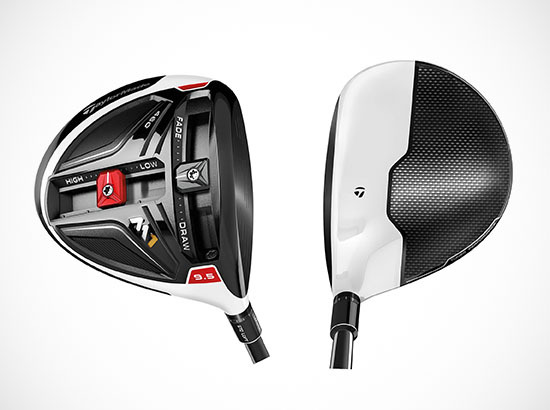 Likewise for McIlroy, Dustin Johnson, Jason Day or Rickie Fowler. Who knows? Maybe the next Fourth Man is still in high school. Can Paul Azinger fill Johnny Miller’s shoes? Correct Doug. 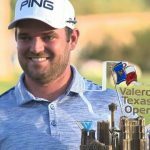 It may not have been obvious the way I wrote it because I was making the point about Open Championship titles but Vardon also added a US open title. Great article, well done. DIEGEL won the 1929 Canadian Open in Montreal, using the same putting “stroke” as Michelle Wie. Thanks Gary. 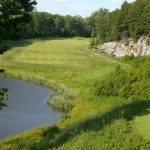 Obviously neither of us were around for that Canadian Open but if Diegel putted that way, it’s just further proof that there’s nothing really new in golf – just lots of recycled ideas. Hope you’re well!